Everyone has heard of the story of DNA as the story of Watson and Crick and Rosalind Franklin, but knowing the structure of DNA was only a part of a greater struggle to understand life's secrets. Life's Greatest Secret is the story of the discovery and cracking of the genetic code, the thing that ultimately enables a spiraling molecule to give rise to the life that exists all around us. This great scientific breakthrough has had farreaching consequences for how we understand ourselves and our place in the natural world, and for how we might take control of our (and life's) future. Life's Greatest Secret mixes remarkable insights, theoretical dead-ends, and ingenious experiments with the swift pace of a thriller. From New York to Paris, Cambridge, Massachusetts, to Cambridge, England, and London to Moscow, the greatest discovery of twentieth-century biology was truly a global feat. Biologist and historian of science Matthew Cobb gives the full and rich account of the cooperation and competition between the eccentric characters—mathematicians, physicists, information theorists, and biologists—who contributed to this revolutionary new science. 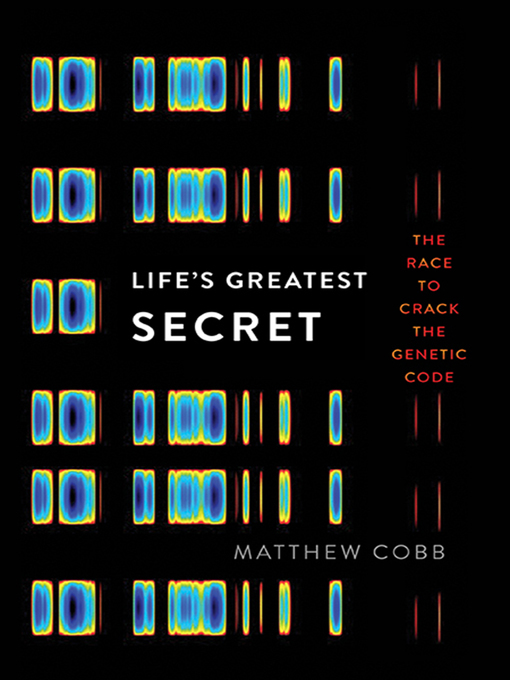 And, while every new discovery was a leap forward for science, Cobb shows how every new answer inevitably led to new questions that were at least as difficult to answer: just ask anyone who had hoped that the successful completion of the Human Genome Project was going to truly yield the book of life, or that a better understanding of epigenetics or junk DNA" was going to be the final piece of the puzzle. But the setbacks and unexpected discoveries are what make the science exciting, and it is Matthew Cobb's telling that makes them worth reading. This is a riveting story of humans exploring what it is that makes us human and how the world works, and it is essential reading for anyone who'd like to explore those questions for themselves.